Discussion in 'Shah Rukh Khan Dhamaal' started by rollercoast, Sep 5, 2017. Shah Rukh Khan's teacher only has nice things to say about him. Today is a special day. It not only marks Ganpati Visarjan but also is known in India as Teacher’s Day. It’s the day we honour our teachers for making us what we are. 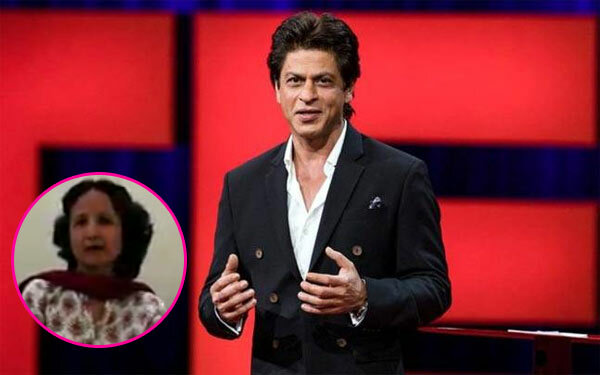 Shah Rukh Khan too did the same by sharing a video of one of his teachers who had a lot to say about him. He also has a message in the video saying, “Thx to each & every woman,child &man who gave me the confidence to say ‘I don’t know all’ & sorry for being tardy.” He has tagged a video of his teacher who revealed what he was as a student. No wonder that SRK always emphasises on completing education for his kids. He has been very clear about it that whatever his kids want to do, they are free to do so only after they get done with their basic education. We know where is that coming from. He has been a great student who not only used to score good marks but was excellent in extra curricular activities as well. So for someone like him, education is a must! Rishima62 and mumbiene thank this.